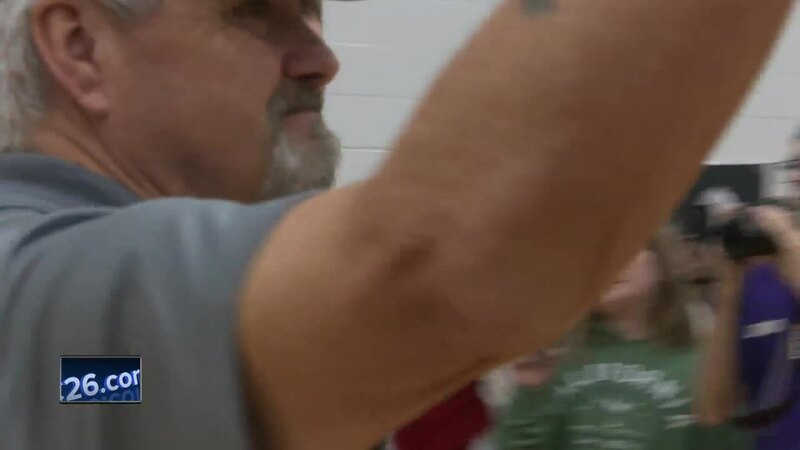 MENASHA, Wis. — A memorable trip comes to an end for 52 Vietnam veterans, but not before an unforgettable welcome home. For the past two weeks, 52 Vietnam veterans have been touring the country they once fought in. Old Glory Honor Flight took them to places of military significance and tourist attractions, but there was one more thing to do. Saturday night, these veterans finally received the welcome home they deserve. Thousands of community members, veterans, and family stood together today to welcome the veterans back from Vietnam. Josh McFaul is an Afghanistan veteran. His step-dad, Tony VanKampen is a Vietnam veteran on the flight. McFaul said the Vietnam veterans were the first ones he saw when he returned home. Tonight, he returned the gesture. "They were shaking our hands, and I look at one, and I said, 'Why are you guys here? You know, doing this? You never got a welcome home. Why are you doing this?' And they said, 'Because we don't ever want what happened to us to ever happen again,'" said McFaul. Tonight those veterans like VanKampen had their hands shaken and their return home from Vietnam celebrated. "When you see all these people standing there and cheering you on, it makes you feel so good that people appreciate the service that you did for your country, and I don't know what else to say. It's just fantastic," said VanKampen. Many at tonight's celebration said this is a part of history that needed to be changed. "So many of them were told, 'Don't wear your uniform in the airport,' because they would be cursed at and spit on. And so tonight is huge, and it's a door that has been needed to be opened for a very long time, and we're finally getting able to open that door and welcome these guys back home," said McFaul. Tears flowed through the crowd but also in veterans' eyes as their homecoming was finally celebrated. "We've had so many veterans say, 'I feel so much better now,' so this journey going back meant so much to all of us, but it was very special to many of them because of what they went through," said VanKampen.